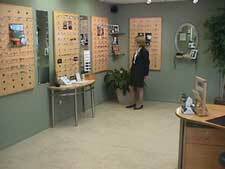 We have a convenient optical department with knowledgeable staff to help with your vision needs. Since eyeglass technology is constantly changing, our staff keeps up with the latest options and shares them with you. We can make any prescription, no matter how much or how little correction you need. Our experts make sure you receive a product that's exactly what the doctor ordered. Eyeglasses from time to time get out of adjustment and we can adjust them without a charge. We prefer to take our time and make sure our products are exactly made to your expectations. We usually make glasses in about 48 hours, and will do everything possible to get your glasses to you on time. "Rush Service" in 24 hours or less is available. Our Optical Laboratory on-site is furnished with state-of-the-art equipment, and able to shape any lens to fit any frame in a matter of minutes. We can tint your lenses with ultraviolet protection, and color tint them into sunglasses. Polarized Lenses reduce glare better than any other type of lens coating decreasing eyestrain and squinting. This provides better eye protection and ensures regular, unaltered colors. Progressive Lenses eliminate the lines in traditional bifocals by offering natural vision up close, far away and in between allowing you to work on the computer and drive a car with the same pair of glasses. Anti-Reflective Lenses are Crystal clear lenses that reduce glare from television, computers and nighttime driving. Light Style Lenses are thinner and lighter lenses, providing 96% or more ultraviolet protection along with scratch resistant coating built right into the lens. Providing 96% or more ultra violet protection. And the scratch resistant coating is built right into lens. Visit our Optical if you are looking for the latest glasses by Calvin Klein, Polo, Gucci, Ralph Lauren or Anne Klein. We carry current designer frames in many colors and shapes. If you love your old frame but it needs to be replaced, we'll try to order it for you if it is still available. If you can't find the frame you have in mind, ask us and we'll be happy to order what you need. Call 727-586-1260 for more information. 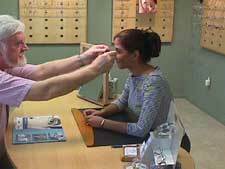 Contact lenses come in many forms: disposable, hard lenses, gas permeables, bifocal and tinted. Whether you are a first time user or have been wearing contacts for years, our trained professionals are able to fit you with the proper contact lenses. After you have been examined it may be necessary to provide complimentary lenses you can try at home on a trial basis to see if you like them. Once we have obtained the proper fit and you are happy with your lenses, we can order the lenses you have chosen. When you need another set of contacts you can call or email us at shettleoptical@aol.com and we will mail them to you at a nominal charge. Q. Do I need to protect my eyes from ultraviolet rays? A. YES, Ultraviolet rays from the sun are harmful to your eyes. Experts believe ultraviolet light is a risk factor in causing cataracts. At Shettle Optical we provide ultraviolet protection on ALL of our lenses. Q. How do I select the right frame and lens for me? A. Our highly skilled staff can help select the most flattering and durable frames and lenses to meet your needs. We are experts on the latest optical technology and can share that information with you during your visit. Q. What leading-edge technology do you use? A. With eyeglasses, we use the latest technology available. That means we have the lightest, thinnest, most durable frame and lenses on hand to show you. 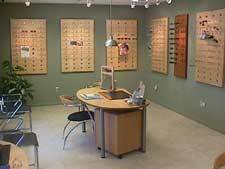 Stop by our optical department to see our selection. Q. How do I take care of my glasses? A. Always take them off with two hands. Make sure you clean them with a lint free cloth to prevent scratches. Always put them in a case when not wearing them. We provide ALL of our customers with lens cleaning solution, cloths, and a hard or soft case upon request. Also all of our lenses and frames come with a one-year warranty at no extra charge to you.